Peter Lock - Apple Tree £12.75 - Dual Purpose Apples Apple Trees and Fruit Trees For Sale. Buy at competitive prices with wholesale discounts. 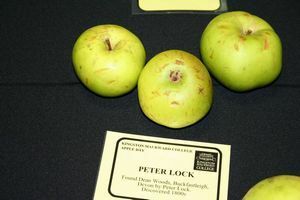 Peter Lock is another apple tree perfect for those looking for a dual purpose eating and cooking apple. When eaten fresh the apple is sweet and subtly scented and when cooked it produces a smooth very sweet bright gold puree. The apple are large and green with a red flush.<br> <br> Originates from Buckfastleigh in Devon in the early 19th century. 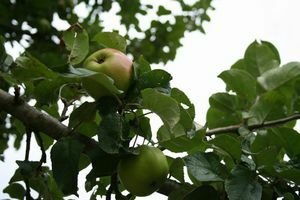 Peter Lock is another apple tree perfect for those looking for a dual purpose eating and cooking apple. When eaten fresh the apple is sweet and subtly scented and when cooked it produces a smooth very sweet bright gold puree. The apple are large and green with a red flush. Originates from Buckfastleigh in Devon in the early 19th century.